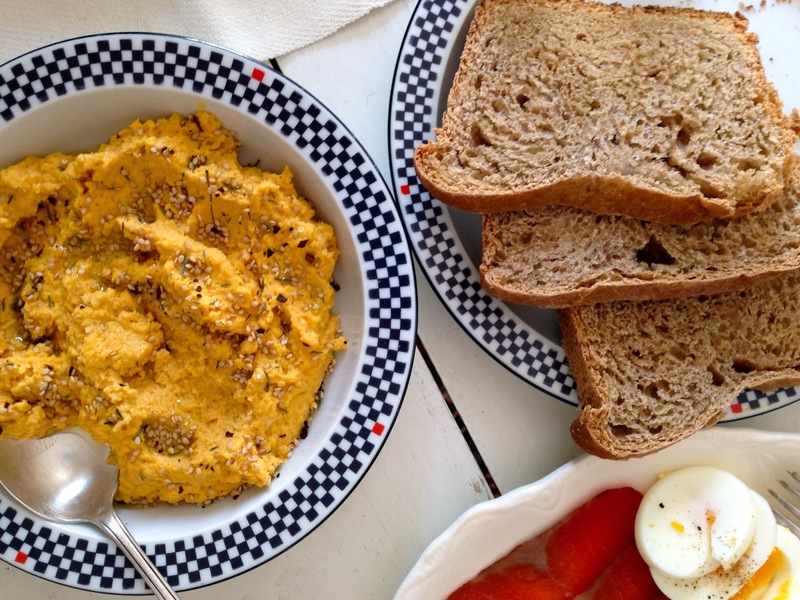 This spin on classic hummus uses a less commonly known root vegetable, rutabaga, a butter yellow and violet-colored tuber. It tends to turn up in CSA boxes, often met with a dubious stare and ultimately finding its way into the abyss of a refrigerator drawer. But it is wholly worth adding to your meal rotation. It’s sweet and tender roasted, creamy and earthy blended in a soup, and addictive served as a dip. 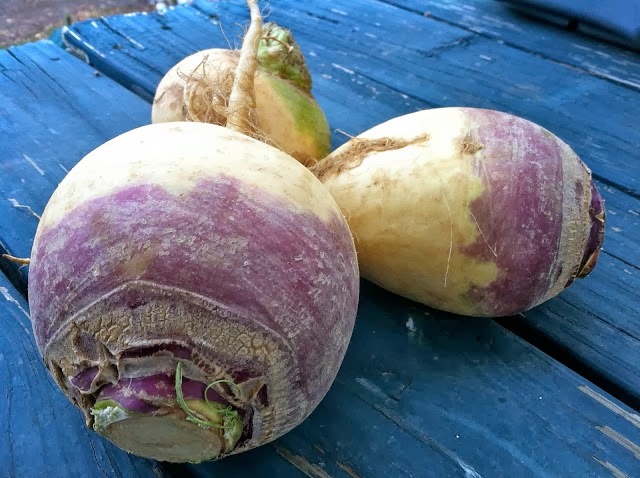 If you are familiar with the rutabaga, I encourage you to go on a treasure hunt at your local grocery store or farmers market. This recipe be prepared in 25 minutes, before guests arrive for lunch. 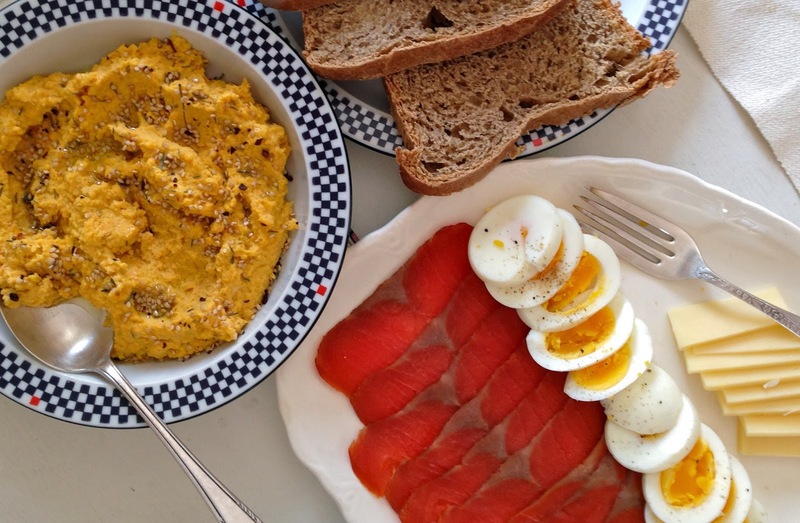 Make it the centerpiece and serve alongside fresh bread, hard-boiled eggs, wedges of cheese, cured meats and smoked salmon (try Wild for Salmon). As part of Dr. John Douillard’s 3-Season Diet Challenge, this recipe will help you eat in rhythm with the seasons and experience the personal transformation that can come from this ancient Ayurvedic approach to food! Fill a medium pot with water and salt it generously. Taste the water - it should remind you of an accidental ocean gulp. Add the rutabaga and carrots, and bring to a boil. Boil for about 15 minutes, or until the vegetables are fork-tender. Add the tahini, garlic, 2 tablespoons of the lemon juice and white miso to the food processor. Whiz into a puree. While blending, pour the remaining 2 tablespoons of olive oil in a steady stream to bind the flavors and create a smoother consistency. If the hummus is too thick, add a tablespoon of the vegetable broth at a time. Garnish with a drizzle of olive oil, and scatter toasted sesame seeds, thyme, red pepper flakes and sea salt over top. Serve immediately or chill and serve with bread. Store leftovers in a lidded container for up to 1 week. You can replace the rutabaga and carrots with turnips, parsnips or other root vegetables.